I'll begin by saying I would NEVER beat a dead horse. I would rent a big truck and probably donate the carcass to some sort of nearby sanctuary that houses and feeds wild cats like Cat Tales. That said, I'll say again that people and I have never really seen eye-to-eye. I try to not make eye contact with them at all actually. I could go on a huge tangent on why I don't really understand people, but I have stuff to do today like muck out the chicken coop or something. I think maybe I just don't get First World Problems. I do, however, understand Charles Darwin who's been dead for more than 130 years. People have talked about Charles Darwin's mysterious illness for decades. Much speculation about what it actually was has included chronic sea sickness and Chagas disease, which he supposedly got from a bug bite on one of his voyages. Although, many reports say that he had neither, he actually had some sort of strange chronic disease. Charles Darwin spent a good portion of his adult life very ill. His symptoms included extreme nausea and vomiting that would last for days then he would go months without any sign of illness. Those same symptoms are the same as those associated with cyclic vomiting syndrome. I was diagnosed with this disease nearly three years ago. I have so much pity for him. So much so, that if I had the opportunity to travel back in time it would likely be to tell him he has a disease that can possibly be helped by enzyme therapy and exercise. My question is if that would even help? His scientific achievements were so vast, but medicine was surely not like it is today. Plus, had Darwin not suffered would he have worked so hard? And that's why I see so much in common with the legend. In his journals he describes the miserable illness that plagued him for days--even months--on end. He even lost a daughter to a strange disease, some say tuberculosis but it's really unknown. Today, his decedents mitochondria is being tested to find out if he had cyclic vomiting syndrome or some sort of mitochondrial dysfunction. 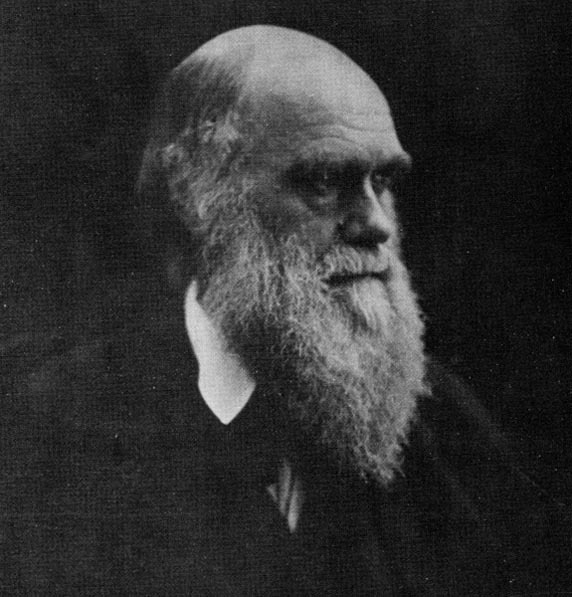 Darwin also describes how because of his illness he grew to expect its return and worked zealously when he was well. If Darwin didn't have that drive, would he have made all of his discoveries and changed the world? That's where I sit with my illness. Had I not had this mysterious disease for three decades, maybe I wouldn't be who I am today? But the same goes for why I really don't understand people and their first world complaints. I remember when I first took out my main allergen wheat for one day. A deep pain in my stomach that I was so used to that I didn't even know it was there went away. Shortly after the pain abated I thought, "Oh my gosh this is how a healthy person's stomach feels! This is wonderful! Healthy people have nothing to complain about!" So that last sentence is incorrect. Health is everything, but its not everything...I guess. I am at peace with how my young life was plagued by a strange disease. When it comes to people, however, let's just say I'm working on it. Oh wow!! I did not know any of this! I have cvs as well, and i found this quite the uplifter. Im going to try and get my hands on some of those vitamins!